Kim D. Slocum is President of KDS Consulting, LLC, an organization devoted to helping health care organizations understand the broader environment in which they operate and assisting them in finding strategic,sustainable solutions to the business challenges they face. Before founding KDS Consulting, Kim worked for more than thirty-three years in a variety of health care, pharmaceutical, and biotechnology firms. Most recently, he was Director of Strategic Planning and Business Development at AstraZeneca Pharmaceuticals where he helped lead the company's multi-year effort to develop innovative tools to better understand and shape its external environment. Over his career, Kim has worked in a series of positions in sales, sales training, marketing, new product development, managed care marketing, disease management, externalization, health care consulting, and strategic planning. Kim is deeply involved in the important field of healthcare information technology. He is a Fellow Member of the Healthcare Information and Management Systems Society (HIMSS), a former member of the Society's Board of Directors, and a recipient of the Society's 2005 Board Service Award. He is a former member of the Society's Advocacy and Public Policy Steering Committee, and presently serves as a member of the its Auto-Identification and Bar-Coding Task Force. He is also member of the faculty for the Society's annual conference helpng to teach a course called "HIT 101" designed to introduce individuals new to HIT the basics of health policy and its intersection with information technology. Among his other activities, Kim is currently affiliated with Strategic Health Perspective--a forecasting service for clients in the health care industry--which is a joint venture of Harris Interactive, the health care futurist Ian Morrison, and the Harvard School of Public Health’s Department of Health Policy and Management. In addition, he is also a Senior Scholar at Thomas Jefferson University's Department of Health Policy in his adopted home town of Philadelphia. 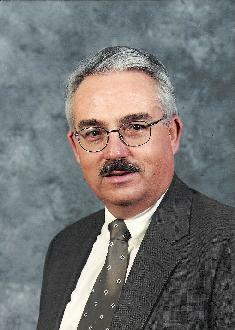 He is also an Emeritus member of the Board of Trustees of the Texas Health Institute--co-chairing the information technology workgroup of the Institute's "Shared Vision" project--an activity focused on developing a comprehensive, non-partisan plan for a sustainable US health care system. Kim's interest in strategic issues associated with health care delivery and financing date back more than a decade when he led the former Zeneca Pharmaceuticals' first strategic planning effort devoted to managed care audiences. He also help to found Stuart Disease Management Services, an innovative early effort to help understand and integrate the continuum of medical care for patients with chronic disease. He served for nearly two years as a member of that organization's management team. Kim is a frequent speaker on issues related to the future of health care, the pharmaceutical industry, and the strategic importance of health care information technology. He participated in the "Health Leaders" Roundtable on the Pharmaceutical Industry. He has also given numerous presentations to a wide range of audiences in recent years including: the National Governors' Association, the deputy commissioners of the Food and Drug Administration, the Harvard University School of Public Health Policy, the University of Mississippi School of Pharmacy, the National Lieutenant Governors' Association, the World Congress of Healthcare, the National Managed Healthcare Congress, the Academy of Managed Care Pharmacy, the Western Medicaid Pharmacy Administrators' Association, the Florida Association of Health Plans, the National Council for Prescription Drug Programs, US Senate staff, and members of various state legislatures. He earned his bachelor's degree at the State University of New York at Geneseo and did his graduate studies in Business at Xavier University.